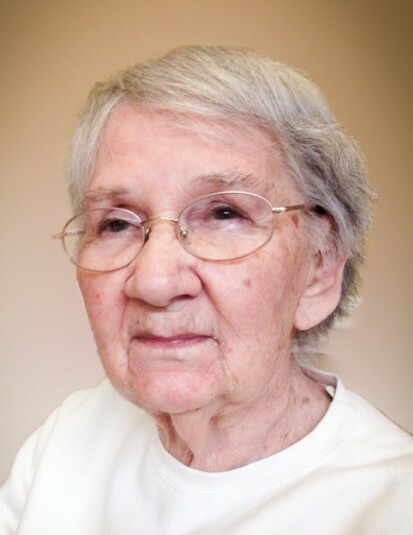 Mrs. Marletta M. Laabs Loper, 92, of Winston-Salem, passed away Wednesday, April 10, 2019 at Mallard Ridge Assisted Living Memory Care. She was born in Stanley County, Chippewa, WI. She was the daughter of the late Alfred W. Laabs and Ina Mae Seibold. Mrs. Loper was a faithful and active worshiper at St. John’s Lutheran Church of Winston-Salem, for over 60 years. Along with her parents, she was preceded in death by her husband, Richard, and one sister, Delores M. Neisinger. Surviving is her son, Randy Loper (Rita); step-daughter, Ann Kershaw (John); grandchildren, Jason Loper (Sandra); Patricia Phipps (Waylon); Travis Loper (Katherine); great-grandchildren, Austin Loper; Wesley and Wyatt Phipps. The family would like to thank her longtime friends Larry and Kay Bowman for their friendship and diligent visits to our mom. We would also like to thank the wonderful nurses at Mallard Ridge and Hospice for their loving care of Marletta. Services and entombment will be held 11:00 am Saturday, April 13, 2019 at Parklawn Memorial Park Mausoleum, 2730 Peters Creek Parkway, Winston-Salem, NC 27127, with the Rev. Tom Clocker officiating. Memorials may be made to St. John’s Lutheran Church, “School Endowment Fund”, 2415 Silas Creek Parkway, Winston-Salem, NC 27103 or Hospice of Davidson County, 200 Hospice Way, Lexington, NC 27292. St. John's Lutheran Church, "School Endowment Fund"